It's been called one of the seven wonders of the modern world. A century after it first opened, the Panama Canal continues to be a vital shortcut for global commerce—but now, almost half the world's cargo ships are too large to fit through it. This year, MWH Global’s redesign will change that. 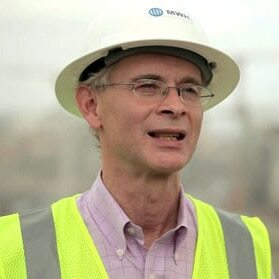 In 2009, engineering firm MWH Global began designing one of the largest and most ambitious construction projects in the world: the expansion of the Panama Canal. The new design will nearly triple the capacity of passing ships. It’s a quantum leap. The $6 billion megaproject, which is set to open this year, uses the equivalent of 26 Eiffel Towers worth of steel, and enough concrete—190,000 tons—to construct the skyline of a major city. The Panama Canal rises 85 feet above sea level. That’s about nine stories high. To pass through the canal, a ship enters a lock—think of it as a massive boat elevator. Once the ship enters the lock, water from a manmade lake is pumped in, which lifts the ship. The vessel then sails across the channel and is carried back down by locks on the other side. It will be an engineering and construction feat to lift and guide today’s supersized ships—over 1,000 feet long and 40 feet high—through the canal and then back into the ocean, all without damaging the surroundings. MWH Global was up for the challenge. How many engineers does it take to change a canal? More than 400, all of them under pressure to stay ahead of construction. With a project of this scale and urgency, work needed to proceed on several fronts at once. Excavation had to start before the designs were even completed. Using civil engineering and building information modeling software, the MWH Global team mapped sites and performed critical clash detection that saved thousands of rework hours and millions of dollars. "The most daunting challenge was meeting the high design performance requirements. This is the Panama Canal. We couldn’t afford to make a mistake. And the clock was ticking." Can a project this massive also be minimalist? It had to be. Gatun Lake not only helps operate the locks, it’s a major source of drinking water for Panama. With so much fresh water being used by the canal, MWH Global had to find a way to expand the passageway, which would require significantly more water, all while using significantly … less water. ...and make a whole lot of Panamanians happy. When it was first built, the Panama Canal changed the world of commerce. Thanks to MWH Global, it will do it again. 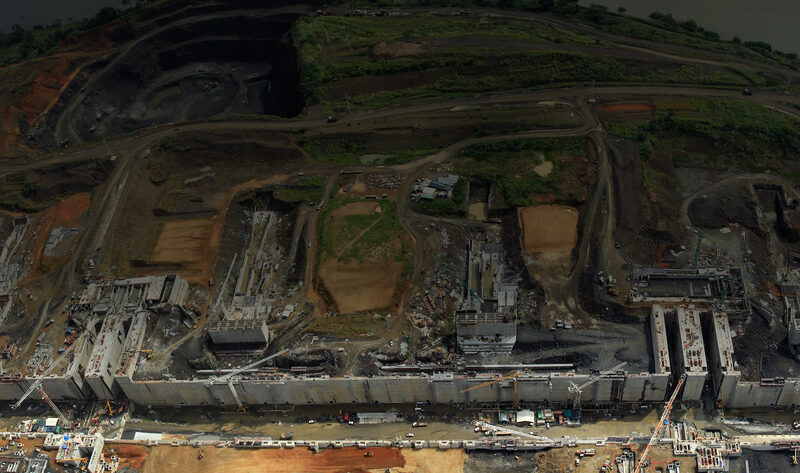 The Panama Canal expansion is a global undertaking with some very local ramifications. It’s estimated that the Panamanian economy will experience an eightfold increase by 2025. But the impact will extend far beyond Panama. Bigger ships need bigger ports. More cargo means more jobs. The global cost of shipping will go down while the worldwide flow of products, grain, and natural resources will go up. It seems a brighter future for the region and the world, one made possible by the intersection of design, technology, and massive collaboration among multinational organizations. Is this the new world order? Stay tuned, but in the meantime, welcome to the future of making things.